Ilayathalapathy Vijay's Puli first look to be unveiled on? The most awaited Puli’s first look to be unveiled on? 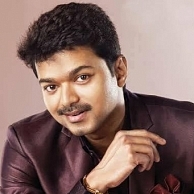 After the massive success of Kaththi, Ilayathalapathy Vijay’s each step is keenly looked upon. We had earlier reported that Vijay was kept busy shooting nonstop for Puli and the latest we hear from our sources close to the team is that, a breathtaking stunt sequence, choreographed by Hong Kong stunt master Nang, was canned recently. We also have another exciting news to keep all the Vijay fans kicked up. The most awaited first look poster of Puli will be unveiled in the mid of February. Please stay tuned to know the exact release date of the first look. Ilayathalapathy Vijay To Continue His Dream Winning Streak? One Movie That Impressed Both Vijay And ARM ! People looking for online information on Ilayathalapathy, Puli, Vijay, Vijay 58 will find this news story useful.